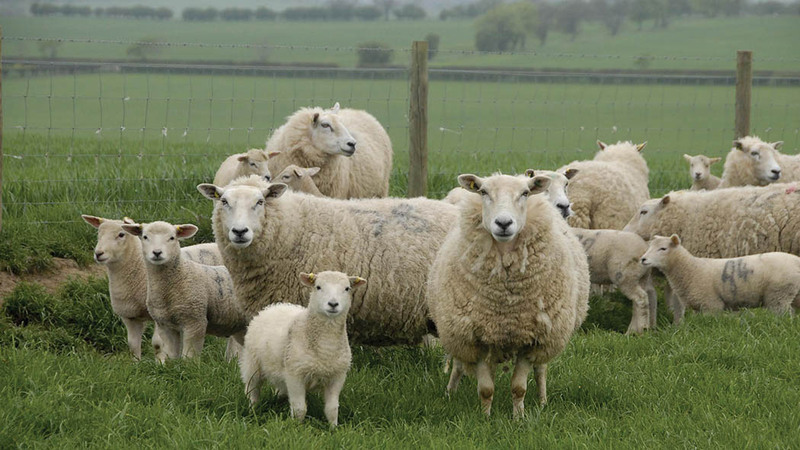 Tackling anthelmintic resistance by improvement management and targeted treatment was just one of the subjects up for discussion at the NSA South East region’s Sheep Health, Wealth and Production conference held at the School of Veterinary Medicine, Guildford. Angela Calvert reports. With worms costing the UK sheep industry £85 million per year due to sub-clinical disease, reduced growth and reduced carcase quality, Fi Kenyon, research scientist at the Moredun Institute warned conference delegates at the School of Veterinary Medicine, Guildford, of changes to typical worm challenges. She said: “Historically, the various types of worms have tended to follow a pattern through the grazing season – nematodirus in spring, Teladorsagia circumcinta (brown stomach worm) and Haemonchus contortus (Barber’s pole worm) in summer and Trichostrongylus species (black scour worm) in autumn. Dr Kenyon said sheep may have multiple types of worms at the same time so with five classes of wormer available (distinguished by five different colours on packaging) it is important to know which to use and when. She explained anthelmintic resistance is when the worm population survives the correct dose of the appropriate standard dose of anthelmintic and warned that resistant worms produce resistant offspring. There is no currently no return to susceptibility, although work in New Zealand using combination drugs is showing possibility of reversal in some cases. Surveys show more than 90 per cent of farms have resistance to white wormers, more than 70 per cent resistance to yellow wormers and an increased number resistance to clear wormers. Many farms have double resistance with some resistant to all three classes. Worldwide, there is also some resistance to 4 AD wormers. She said the historically standard practice of treating the whole flock at one time, removes only the susceptible worms, leaving resistant worms which pass out resistant offspring, for at least two weeks post-drenching. Continuing to use the same drug builds up the numbers of resistant worms on pasture. Different wormer treatment strategies affect how quickly resistance develops, with regular frequent treatments selecting most strongly for resistance. Fiona Lovatt, of Flock Health, said one of the biggest challenges for farmers was finding clean grazing for lambs which is key to managing the worm burden and maintaining good growth rates. She said: “Plan ahead, try not to fill every field with ewes and lambs at the beginning of every year. Do a risk assessment for each field and put a grazing plan with a proper system in place so that you can preserve some clean pasture for lambs later each year. “And importantly, aim to get lambs away quickly – the longer they are on farm the more the worm challenge increases. Dr Lovatt also pointed out that many farmers still do not have a protocol in place for worming all incoming sheep, whether bought-in or those which have been grazing on other farms and ‘this is really important’. In order to ensure all resistant worms were killed she advised using a wormer from the new groups 4 or 5 plus injectable moxidectin for sheep scab and following the correct quarantine procedure.